Do you have staff interested in learning more about hospice and palliative care nursing principles and best practices when caring for the patient at end-of life? 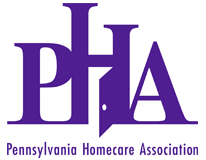 PHA’s Hospice & Palliative Nurses Study Program is for nurses who are interested in advancing their professional expertise and credentials, and can assist as they prepare for HPN certification. Other disciplines working in hospice and palliative care, including new medical directors, managers and therapists, may also find this program valuable. Instructor Cindy Morgan, RN, MSN, CHC, CHPN, LNC, a Certified Hospice & Palliative Care Nurse and an HPN-approved educator, will utilize the content outline included in the HPN RN Candidate Handbook as a guide, along with parts of the curriculum developed by the Hospice & Palliative Nurse Association. 9.5 nursing CEs are available for this workshop.